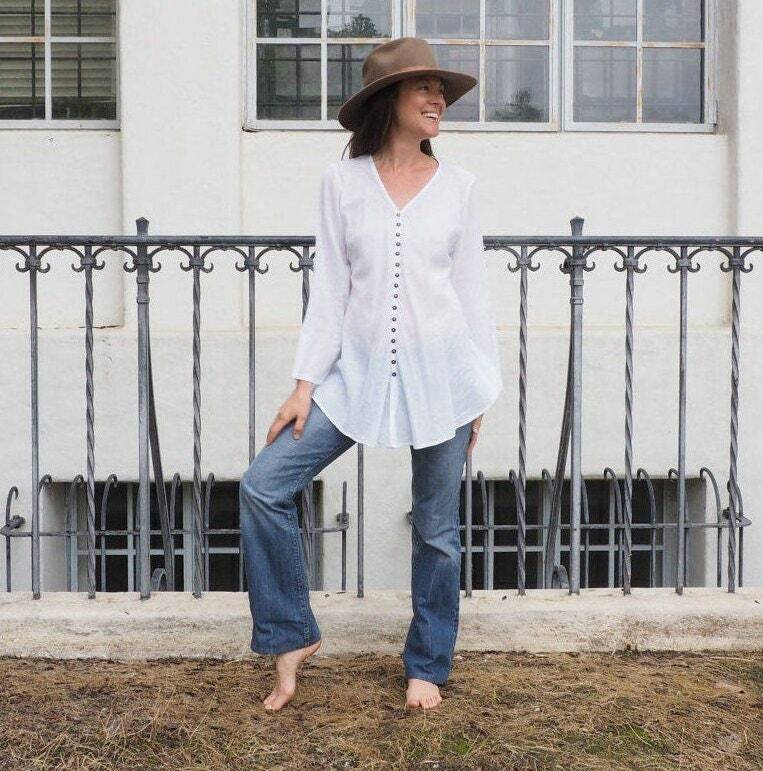 Cotton Button-Down Top in WHITE // Natural Fiber, Weightless, Breathable / A Classic! 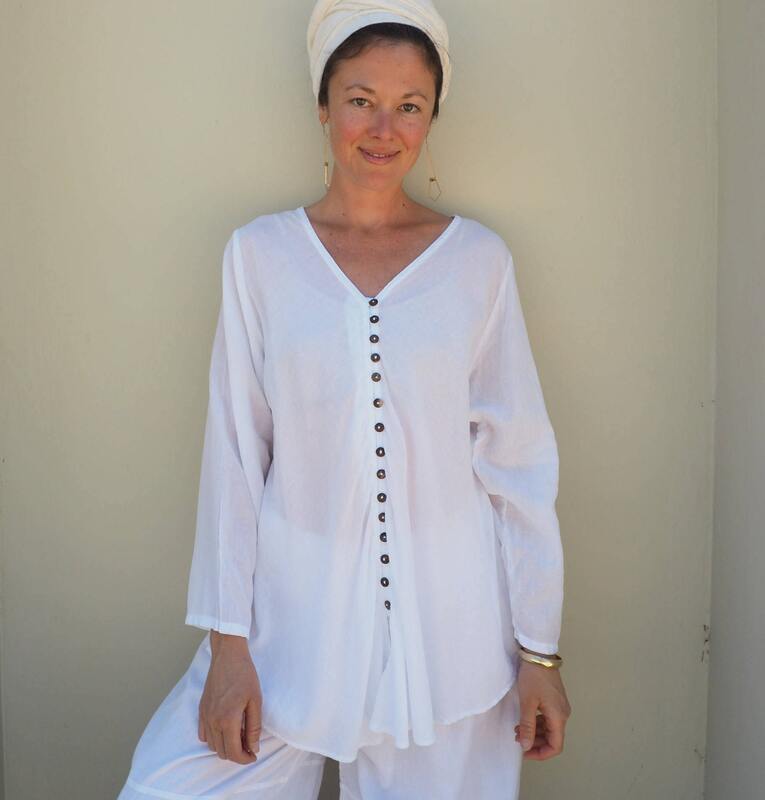 Breathe fully and live freely in this classic white cotton gauze button down. 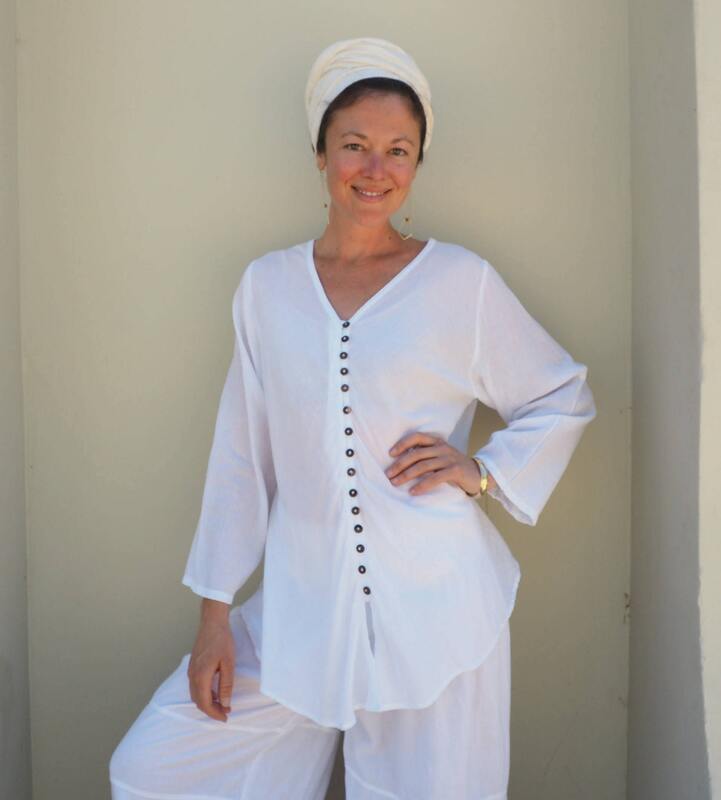 This classic beach/sun top is special because it has a shapely feminine flow around the hips. 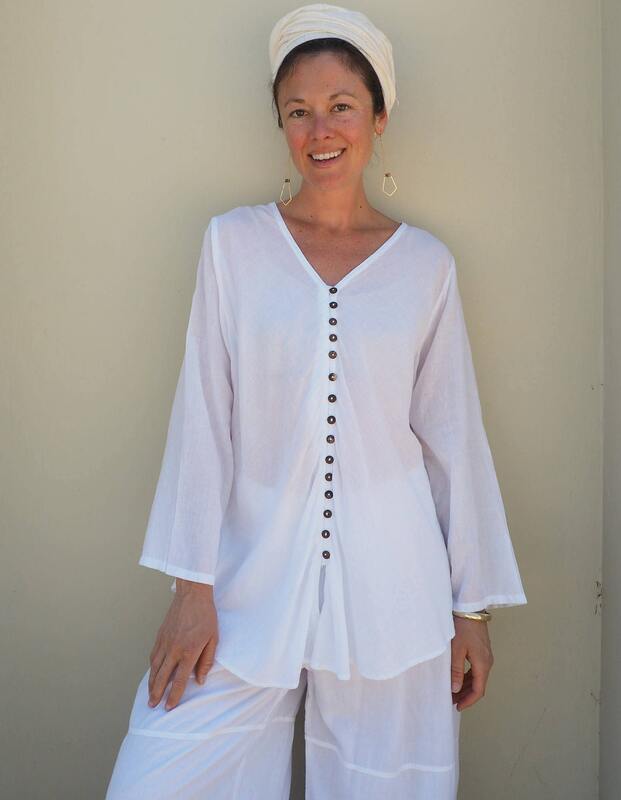 The line of dark wood buttons down the center line is slimming. Gifted to a friend; she loved the cut & length! I love how comfortable it is. Fits great! Nice material. Was hoping it was a bit longer.